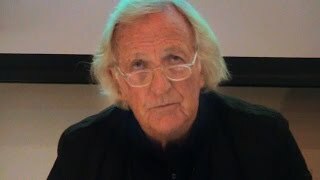 Pilger talks about Assange's deteriorating health and the physical dangers he faces during this period of virtual isolation. Pilger also excoriates the western media for their silence and pro-government stand on the marginalizing and potential prosecution of Assange, even after they collaborated with WikiLeaks and major high-profile breaking stories. The interview is part of a continuing national radio series -- Assange: Countdown to Freedom. Pilger was interviewed on August 3rd, 2018. John Pilger: His state of health is just about the same, as I understand it. He needs medical attention, the kind of treatment you get only in a hospital. But it has been made clear to him that if he attempts to go to a hospital he will not be given free passage and he will be arrested. Since he was arrested in 2010, Assange has not been charged with a single crime. His treatment amounts to the most unprecedented persecution. Julian could leave the embassy if his own government, the government of his homeland, Australia, applied legitimate diplomatic pressure on behalf of its citizen. We must ask ourselves why this hasn't happened. My own feeling is that there is a great deal of collusion between the Australian, the British and the US governments -- meant to close down WikiLeaks completely and/or deliver Julian Assange to the Americans. Recently the Australian foreign minister, Julie Bishop, traveled with senior officials to London and to Washington and raised the whole matter of Julian. But they raised it in a way that didn't support the idea that a government should represent its citizens. These people listened to the more powerful governments. In Washington they met Mr. Pompeo, who refused to discuss Assange altogether. 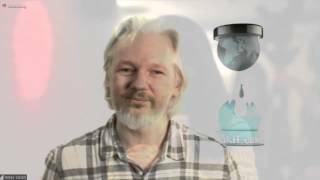 I think there is collusion which amounts to an attempt to try to do a deal with Assange whereby he might be allowed free passage of return to Australia if he shuts down WikiLeaks. I think that is very, very likely. As I understand Julian, this is something he would not even contemplate. But that might be one of the so-called "wretched deals" that are being offered Assange. Some very strange things are being said by senior members of these two governments. 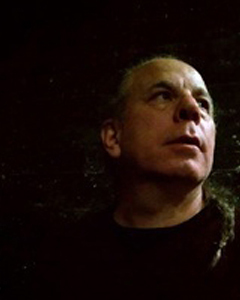 The new foreign secretary of the United Kingdom, Jeremy Hunt, said sarcastically that the British police would offer Julian "a warm welcome" when he came out, when he would face serious charges. There are no serious charges. He hasn't been charged with anything. Was Hunt referring to a deal which has already been done with the United States on extradition? I don't know. But this is the milieu of machination around someone who has the right of natural justice concerning his freedom. Putting aside freedom of speech, the persecution of this man has been something that should horrify all free-thinking people. If it doesn't horrify us, then we have surrendered something very valuable. DB: Among those who should be especially horrified are those of us in the journalistic community. John, I would like you to explain once again why Julian Assange is such a significant journalist, why so many journalistic institutions have collaborated with him based on the information he provided. We are talking about a publisher and reporter who has changed history. JP: Nothing in my time as a journalist has equaled the rise of WikiLeaks and its extraordinary impact on journalism. It is probably the only journalistic organization that has a 100% record of accuracy and authenticity! All of WikiLeaks' revelations have been authentic. And it has been done "without fear or favor." Although there has been a concentration on, say, the release of the Hillary Clinton/Podesta emails, or the Iraq and Afghan war logs, WikiLeaks has released information that people have a right to know across the spectrum. It has released something like 800,000 documents from Russia, and now WikiLeaks is accused of being an agent of Russia! WikiLeaks' journalism has covered a universal space and that is the first time this has happened. In Tunisia, the release of WikiLeaks documents foretold the Arab Spring. The people at the forefront of the uprising in Tunisia credit WikiLeaks for informing them of what their repressive government was doing behind their backs. In Venezuela, WikiLeaks released cables which described in great detail how the United States intended to subvert the government of Hugo Chavez. Some of this was published in the mainstream media, when there was still a collaboration with WikiLeaks. The Clinton/Podesta emails, which appear to have made a number of people resentful, were published in the New York Times. These emails showed the close role that Hillary Clinton and the Clinton Foundation played in support of extreme jihadism in the Middle East. That was a very important piece of information for people to know and understand. By doing that, WikiLeaks performed an extraordinary public service, while at the same time making some very serious enemies. Randy Credico: People sometimes forget that, apart from being a journalist, Julian Assange is a human being. You have known him a long time. Could you give us a feel for the kind of person Julian Assange is?